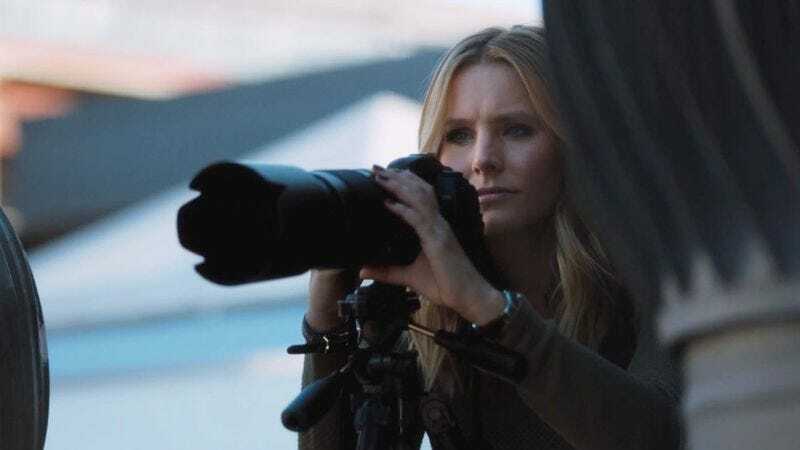 Amid all the discussion of the upcoming Veronica Mars movie, and of exactly who and what it will entail, there’s only one question that’s truly important: Does Piz at last receive his reward for always being a nice, stable guy by getting shoved into a rocket and shot into the sun, so the audience can return to focusing on Veronica’s relationship with Logan? But a close second to that is whether you’ll actually be able to see the movie on the big screen, in a theater semi-crowded with your fellow fans of a canceled cult TV show. And now AMC has provided an answer: Probably, provided you live in or near one of these major markets. AMC’s alphabetical list of cities that will host screenings covers a fairly broad swath of the country, and TV Line notes that it will also screen in non-AMC theaters in Lubbock, Portland, and Vancouver. Meanwhile, arrangements are still being made for international distribution—and of course, it will also be released on demand, so you can watch it in your non-major-market-city, on your TV balanced atop a rotting cow. Advance tickets for the March 14 release go on sale on February 14, making them an excellent Valentine’s Day present for your nice, stable boyfriend everyone wishes you would break up with already.